I also enjoyed researching and updating our guidebooks (in Greece, Rome, Florence, Tuscany, South France, and South England), which helped me scout new TV episodes (for Tuscany and South England) and refine our newest Rick Steves Europe Tours Villages of South England itinerary. I've been on the road for four months out of the last five. It's been a great year of traveling, with 3.5 hours of new TV produced (Easter -- airing next spring; Martin Luther and the Reformation -- airing in the winter of 2016/17; and three new public television shows on Germany -- part of our 10-episode Season Nine, airing in October of 2016). I also enjoyed researching and updating our guidebooks (in Greece, Rome, Florence, Tuscany, South France, and South England), which helped me scout new TV episodes (for Tuscany and South England) and refine our newest Rick Steves Europe Tours Villages of South England itinerary. 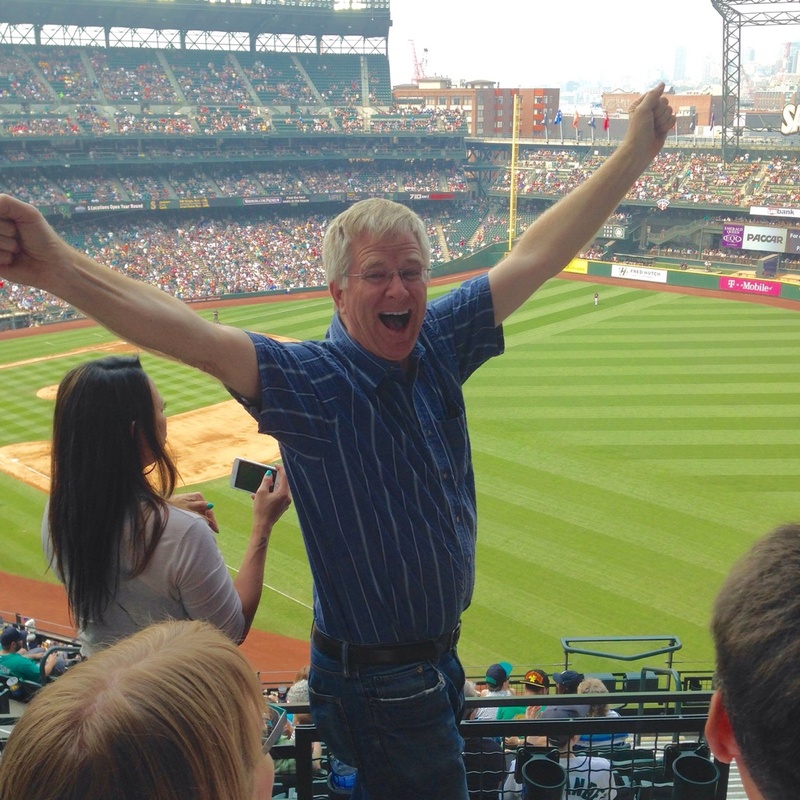 My "welcome home" celebration: a day at the ballpark to watch the Mariners win one. Home run! After all that travel, it's a joy to simply be back home. No more toiletries kit, no more rationing clean clothes, no more crummy connections with family and loved ones. With this post, I wrap up my "Hundred Days of Europe" Facebook project. (I think I was about 95 percent successful -- sorry for those five missed days.) It's been fun packing you along through all these great travel experiences. I hope you've enjoyed the trip. And to all my new friends: It's great to have you on board. Stay tuned for more Facebook travel fun, as we've got lots of great projects in the pipeline, and I enjoy giving my friends here an inside peek at our work.